It is an exciting time to join QSuper. After more than 100 years of looking after the retirement savings of Queensland Government employees, in 2017 we became available to all Australians. This means everyone can now feel better about their super today, knowing we’ve delivered consistently strong returns. Today we are one of Australia’s oldest and largest superannuation funds, responsible for managing around $78 billion in funds for more than 577,000 members. Around 1,200 employees from a diverse range of backgrounds support the successful operation of QSuper, and rally behind a united desire to help our members achieve the future they deserve. 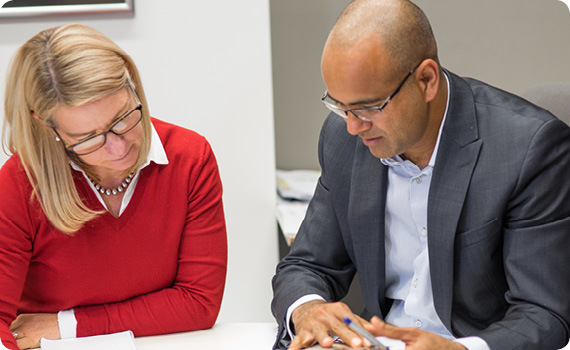 In addition to our core superannuation fund, the QSuper Group also includes QInvest, our financial advice and planning business, and QInsure, our in-house insurance services arm. We work as one with our members to help them create a better today for themselves and their families. As an organisation, we are united by our values and driven by our members’ continued success. This is our spirit. It is what defines us. It is what makes us uniquely QSuper. Our values – United, Accomplished, Spirited and Courageous – are at the heart of our organisation. They make us who we are, and underpin the way we work. Our values drive performance, enhance our reputation, build on our heritage, and help shape the future for our people and our members. By living and breathing our values, we ensure our members remain at the heart of everything we do.